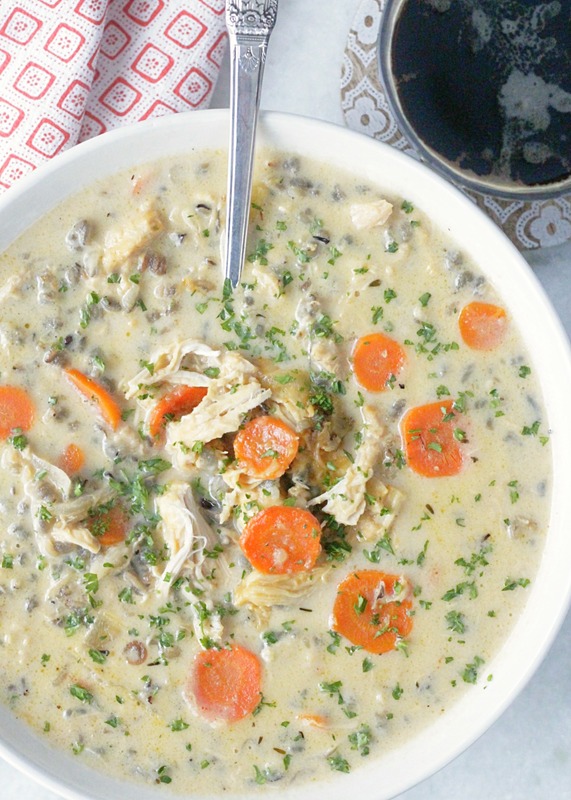 Slow Cooker Beer Cheese Chicken and Wild Rice Soup is a combination of two classics – beer cheese and chicken and wild rice soup. This is one of those recipes I came up with years ago that was so, so good. But at the time of writing the actual recipe (and then publishing it) I did not specify that wild rice needed to be used. If regular rice is used in a slow cooker it will blow up and turn the whole consistency of the soup to unappetizing mush. Wild rice however (it is black out of the box or bag) can handle the low and slow heat of the slow cooker. I’ve had beer cheese soup once or twice but I always felt like it was lacking something. 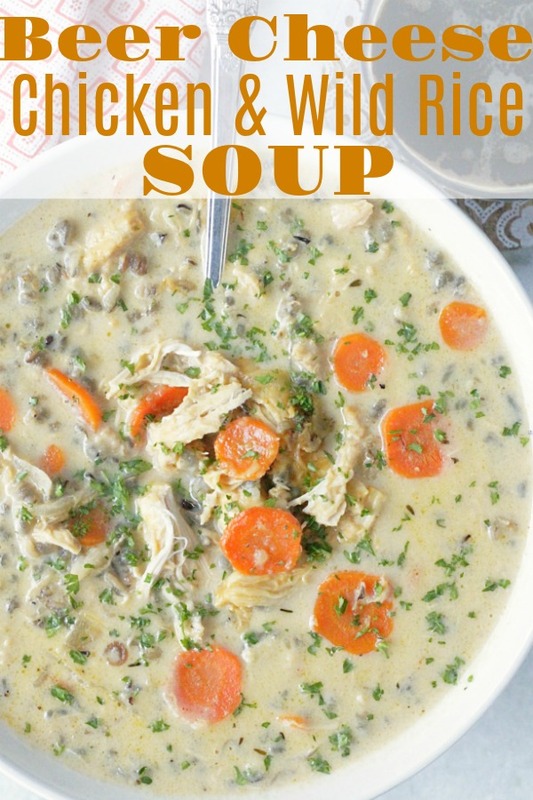 That is why I decided to combine a beer cheese soup with a chicken and wild rice soup for this recipe. It’s particular satisfying on these cold and dark Winter nights we are experiencing here in Ohio right now. 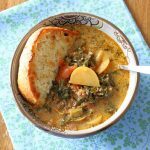 If you have a large slow cooker like this one you will be able to make a full recipe of this soup. However if you have a 6-quart or smaller size slow cooker you’ll need to halve the recipe. I serve this soup with crusty bread for mopping up all the cheesy broth left behind in the bowl. 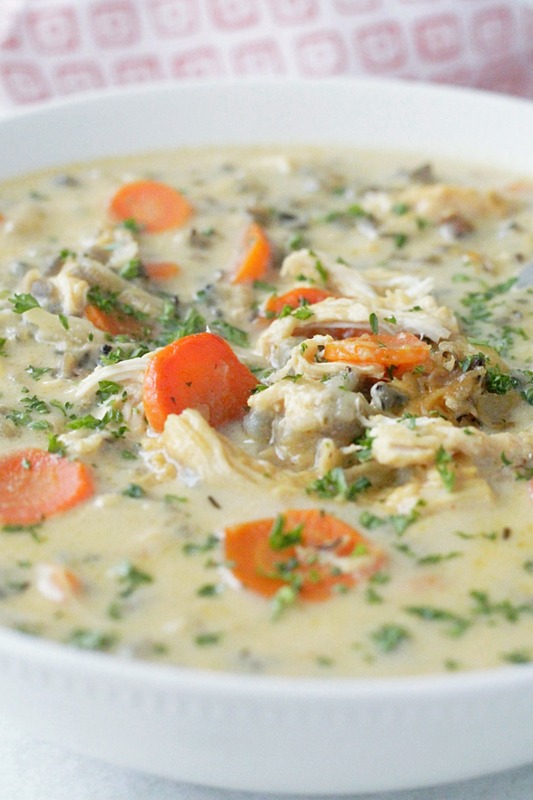 Be sure and PIN this recipe for when you are craving a hearty, comforting soup. 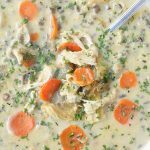 Slow Cooker Beer Cheese Chicken and Wild Rice Soup is a combination of two classics - beer cheese and chicken and wild rice soup. Place the onion, carrots, chicken, wild rice, chicken stock, beer, salt, paprika and thyme in a slow cooker set on LOW heat. Cook for 6 - 8 hours. With about 30 minutes remaining, stir in the shredded cheddar cheese and sour cream. Top with chopped fresh parsley to serve. It’s in the 50s here today so I am definitely craving something warm and comforting. This looks delicious! Thank you. I hope you try it! Gorgeous photos Jill! We’ve had crazy cool weather too (I am not complaining 🙂 ) but it has been soup weather and so I made a pot last night. It felt so strange in July! This soup looks so creamy and comforting. Thumbs up! Incredibly delicious! 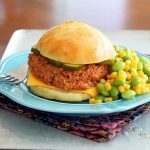 Thanks for linking up with What’s Cookin’ Wednesday! Zainab, did you get my original reply to this comment back when I sent it, or are you just now getting this one? I seem to be having an issue lately with my replies. Thanks for letting me know! I’m only getting this one! I’ve had this open for two days and I got sidetracked! 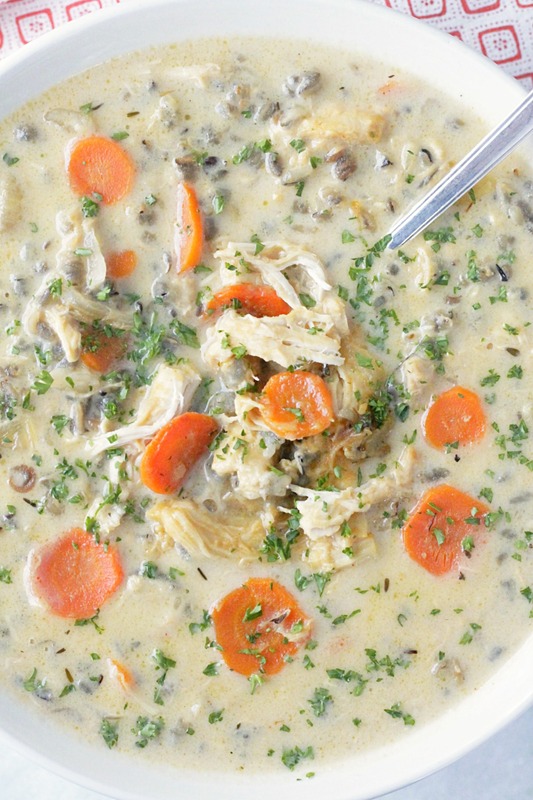 I love soups like this though…we’ll definitely be making this in the fall when the sports season gets started. Soups and paninis are a mainstay for us then! It looks delicious and your pictures are beautiful. Pinning and stumbling! Thanks so much Michelle. I love comments 🙂 I’m sure you’ll love this soup… let me know after you try it! Michelle I seem to be having trouble with my replies lately. I replied to this comment back when you posted it. Can you let me know if you got that, or of you are just now getting this one? Thanks! I don’t remember seeing a reply before! But I am most definitely looking forward to making this! This is sooo right up my alley! Especially since I was sick! Definitely looking forward to making it real soon! And I even included it in my foodie fridays round up! Thanks for joining! Thanks very much Mila, I appreciate it! Thanks Mila! Have you tried it yet? Just wondering… do you need to cook the rice prior to? or do you put the rice in uncooked? You just put the rice in uncooked Sara. It is in the slow cooker long enough to get done. Good question! You are welcome and sorry for the late reply 🙂 Have you tried it yet? This looks so good! Do you know if it could cook longer in crockpot…up to 10 hours? I’d like to start it before work. Thanks Lindsay. I think it would be OK, just make sure and use slow-cooking wild rice, not a rice blend. The first time I made it, I used a rice blend that was actually meant to be quick-cooking and it was mostly mush by the end. Still tasted good, but I had to add in some cooked rice afterwards. Regular wild rice takes a long time to cook and it generally holds its shape, so it should be fine for up to 10 hours. Let me know how it turns out! just put in the crock pot now! can’t wait to try it!! Hope you enjoyed this soup Ann! Just wonderful! I used Lundberg Wild Blend rice and it was perfect. Awesome – so glad you liked it! Welp, I don’t know where i’ve done wrong, but this didn’t turned out like i expected, AT ALL. I started this recipe yesterday evening before bed (since it’s in the slow cooker, i figured it was ok if i went to bed, it’s not the first time i’ve done it). I woke up this morning, it smelled so good, so I was excited, but when I opened the lid, it wasnt a soup. It looks plainly like stuffing. It smells amazing, probably tastes amazing, but i aint eating stuffing for dinner XD I didn’t even add the cheese (since it was specified to add it one hour before the end). It was pretty funny when i stirred this and my boyfriend and i saw the result. Let’s just say i’ll be eating out for lunch. I am so sorry for your poor experience Alexandra. I used wild rice, which has a longer cooking time than regular rice so that probably accounted for the difference maybe? Plus if you went to bed it may have been in longer than the specified times. I’ll note that in the comments – about cooking for less time with regular rice, or stirring the rice in more towards the end. Again, I’m sorry you had a negative experience!